Fine Gael's Paul Kehoe is seeking re-election for a third term of office from his constituents in Wexford. 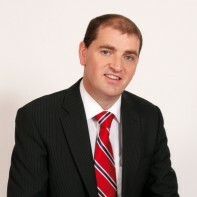 Kehoe was elected to the Dáil as a 29-year-old in 2002 and was appointed as Fine Gael's Chief Whip during his first term in the Oireachtas, a position which he still holds. He is currently responsible for overseeing the party's political reform policies. Kehoe is a former chairman of Macra na Feirme.